Clemens Rehbein (lead vocals, guitar, bass) and Philipp Dausch (drums, percussion, guitar, bass) are magnets. They share equal vision of Milky Chance and meld their influences with ease. Blossom showcases the pair in a new light. The Ritz Ybor is going to be full of swaying fans, new and old, coming together. Lola Marsh will be joining Milky Chance for a stunning start to the evening. The indie pop duo from Tel Aviv will bring the angelic melodies, which will weasel their way into your bones. 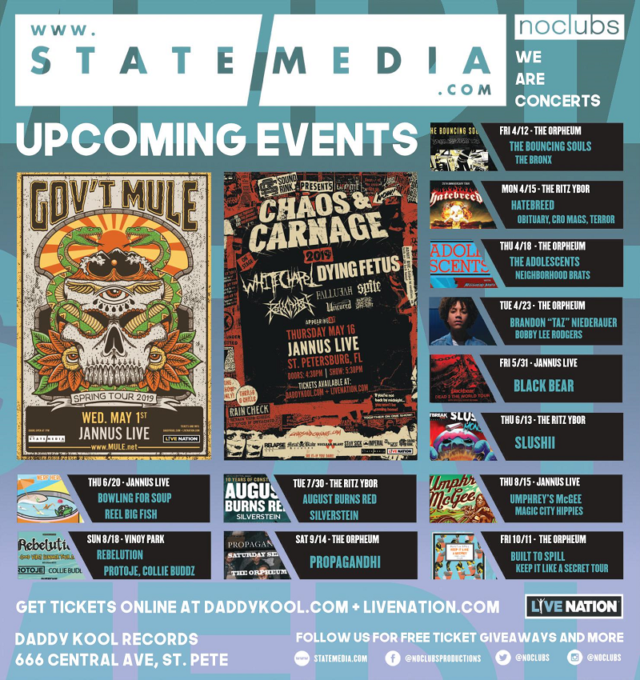 No Clubs is a constant source of great shows in Tampa. Thank you!! 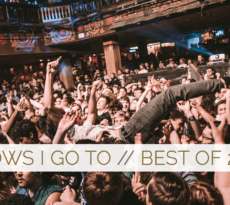 GET YOUR TICKETS TO MILKY CHANCE AT THE RITZ YBOR IN TAMPA, FL! 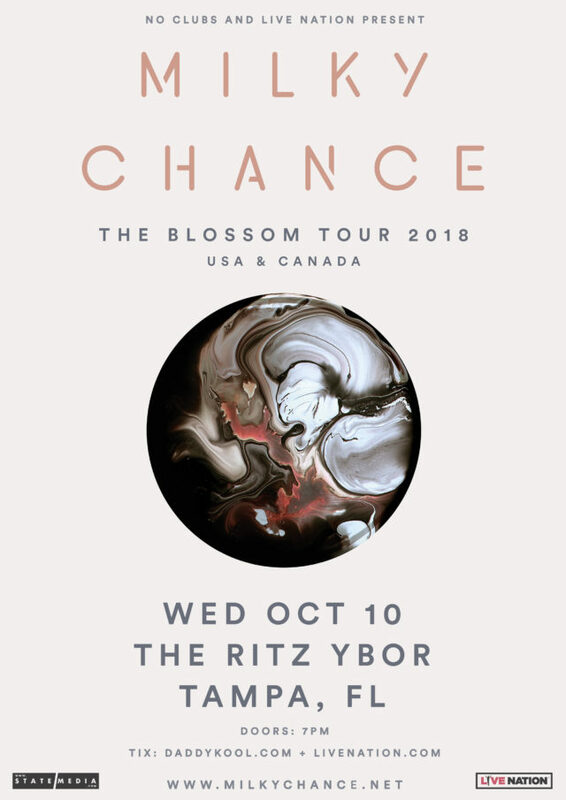 RSVP TO MILKY CHANCE AT THE RITZ YBOR IN TAMPA, FL! 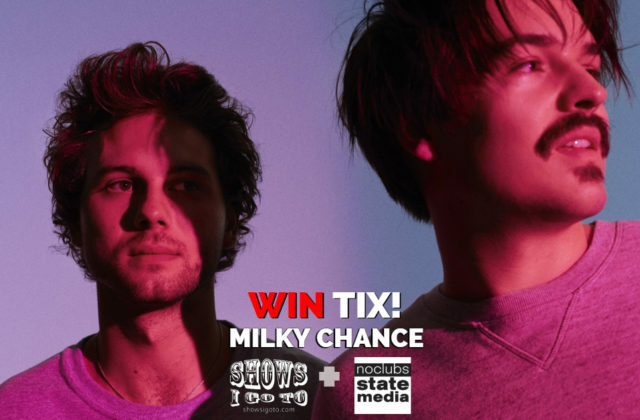 CONTEST ENDS: TUESDAY, OCTOBER 9, 2018 at 4:20 P.M.
TAMPA — WIN TIX to @MilkyChance at @theritzybor Wed Oct 10th! 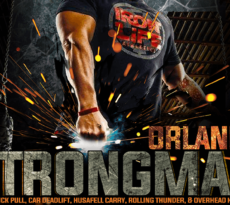 Winners announced Tuesday, Oct 9th @ 4:20pm! Milky Chance Tampa 2018 Ticket Giveaway by Sarah Schu.